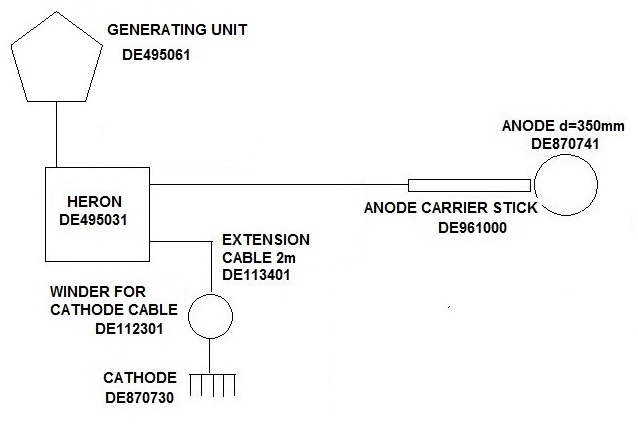 In all configurations, the basic equipment must include the HERON ®, a generator "specific for fishing", a winder for cathode cable, a cathode and an anode screwed on an anode carrier stick. The diversity of accessories allows fishing with a HERON ® in 5 different configurations (refer to synoptic diagrams). 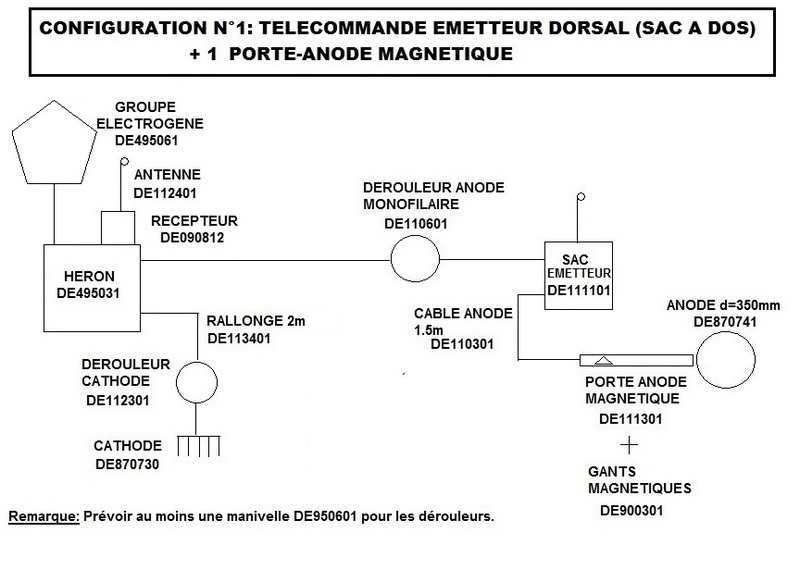 For fisheries within a 180 m radius, we propose a remote control by cable. 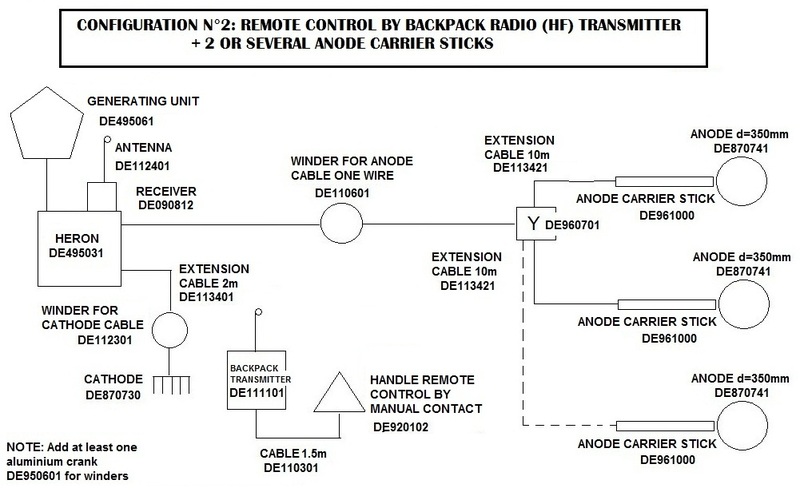 This system is the most reliable thanks to its hardiness. 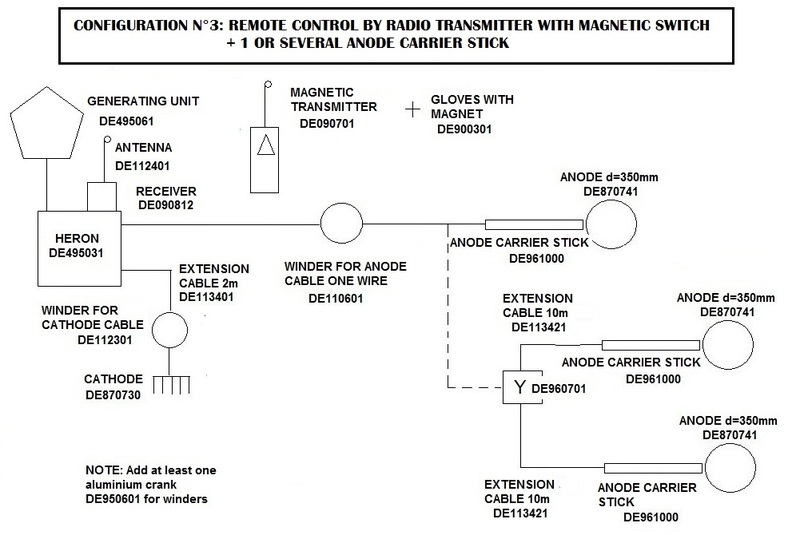 For that, must be added to the basic configuration, a winder for anode cable and its crank, a handle remote control by manual contact and a winder of 180 m for the remote control cable. 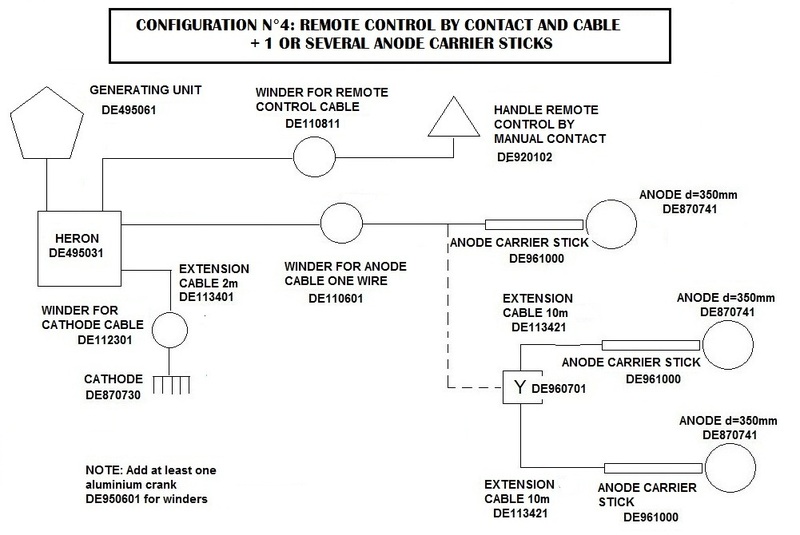 Fishing with several anodes is possible (configuration #4). 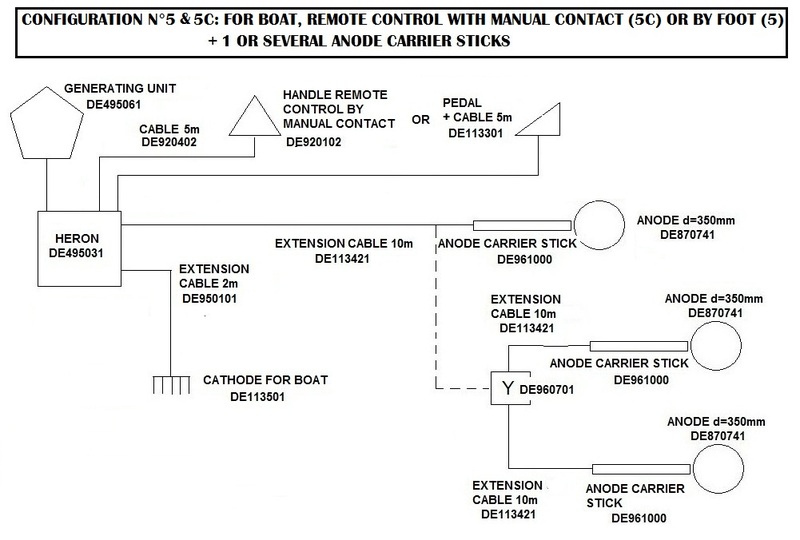 Other configurations are possible as fishing by boat (configuration #5), or electrofishing by HF remote control with only one anode and an anode carrier stick with a build-in magnetic switch controlled by magnetic gloves (configuration #1).